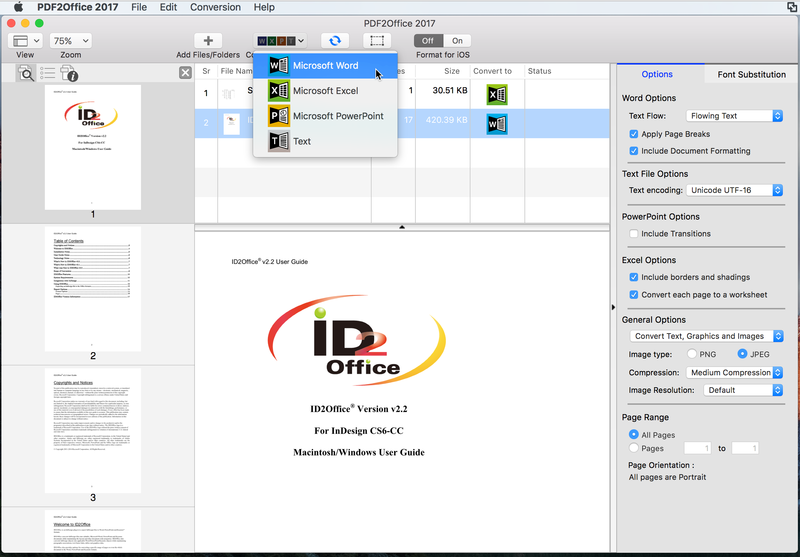 PDF2Office 2017 is a PDF file conversion tool for Microsoft® Excel, Word and PowerPoint®. Watch PDF2Office 2017 convert PDF files to fully editable Word, PowerPoint and Excel file types! 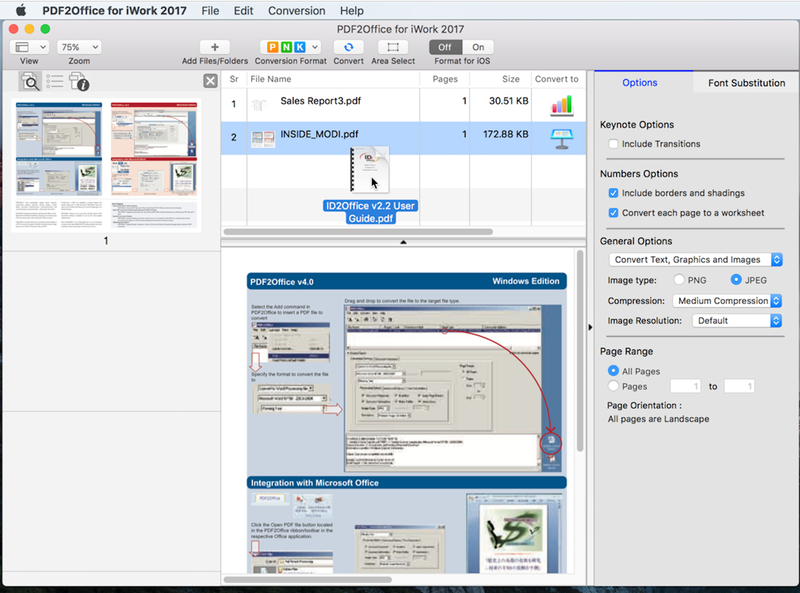 PDF2Office 2017 works with the latest macOS. Add the PDF files to convert, specify the conversion type and choose Convert All. 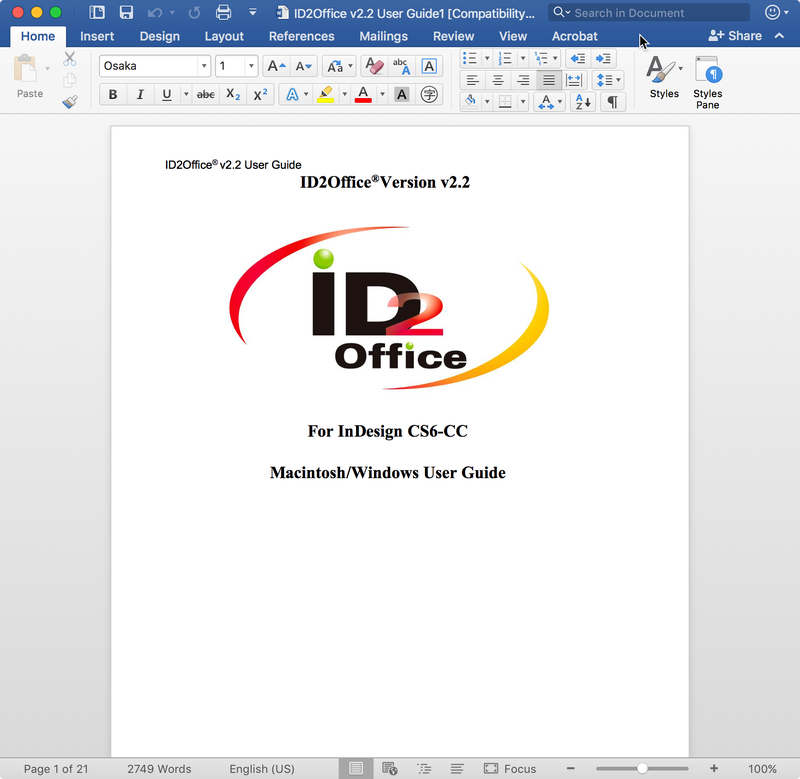 The PDF files are converted are fully editable in Microsoft Office formats other types. PDF2Office 2017 converts PDF files into fully editable Microsoft Excel, Word and PowerPoint formats recreating the intended construction and layout of the document. 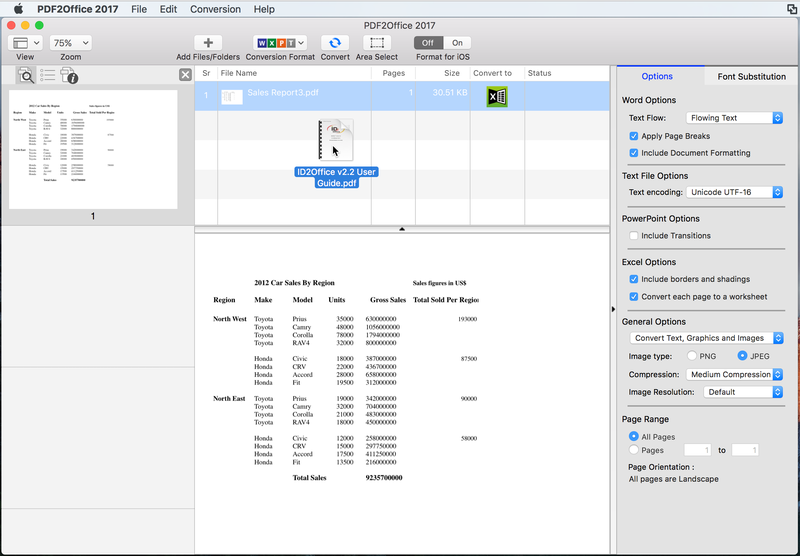 PDF2Office 2017 forms paragraphs, applies styles, regroups independent graphics elements, extracts images; creates tables; processes headers/footers, endnotes/footnotes and columns/sections automatically – without any intervention. PDF2Office 2017 also provides options for converting or extracting data from a range of pages in a PDF document. You can extract text or images, or convert the entire document to the Microsoft Excel, Word and PowerPoint. PDF2Office 2017 enables you to recover the data stored in PDF documents – making them available for use by anyone. Since PDF2Office 2017 supports Microsoft Excel, Word and PowerPoint, it is not necessary to acquire and install additional PDF editing software and tools resulting in huge cost savings in both time and expense. Note: Layout reconstruction varies depending on document and may not be 100% accurate. 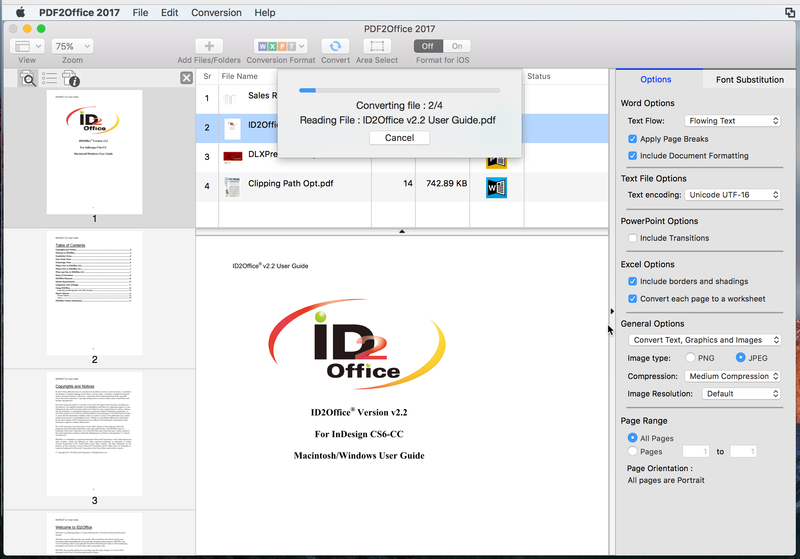 PDF2Office does not perform Optical Character Recognition An image in a PDF file is treated as an image. Furthermore, certain types of PDF data are not supported including (but not limited to) transparencies, clipping paths, tilings/shadings, certain graphics operations, graphics filtering, certain text operations and PKCS/AES encrypted documents.